The fact that today is Friday would be WAY more exciting if I hadn’t agreed to work a bajillion (yes, exactly one bajillion) extra hours at second job this weekend. I know I’ll be happy when the paycheck comes but until then I will whine about it because that’s what I do best. 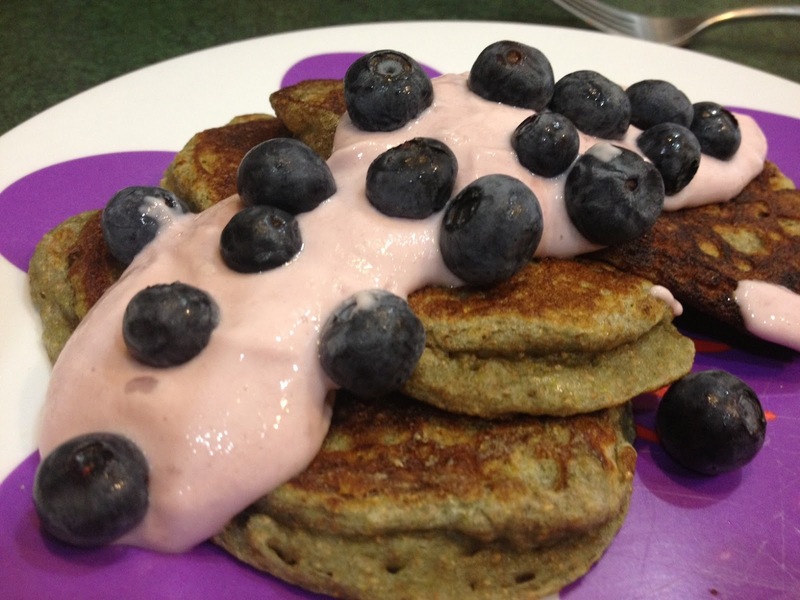 Let’s take a look back at the eats of the week. I’ve been LOVING the fruits of my labor, i.e. all the prepped food. My week has been filled with quinoa bars, tofu wraps and blueberry bran muffins and I am happy about that. 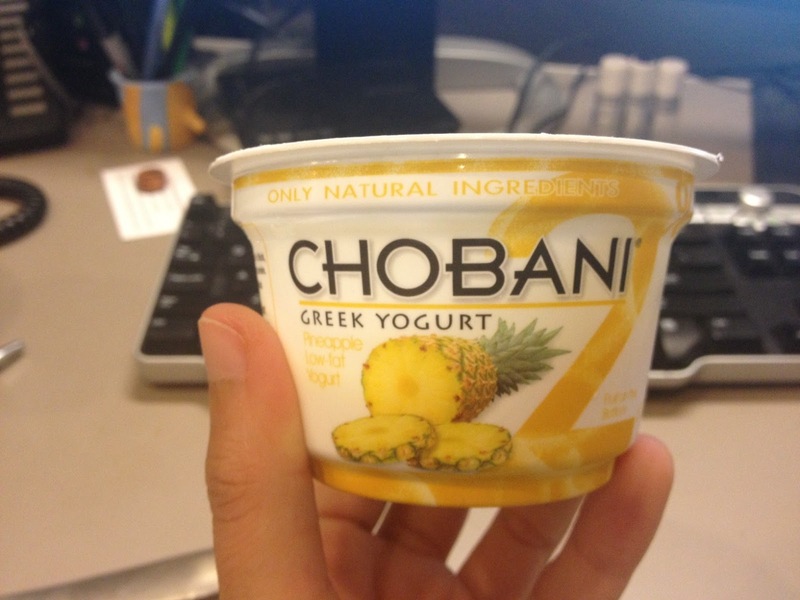 Also filling my life- and stomach- is my beloved Chobani. They should really become my life sponsor because I could live off this. 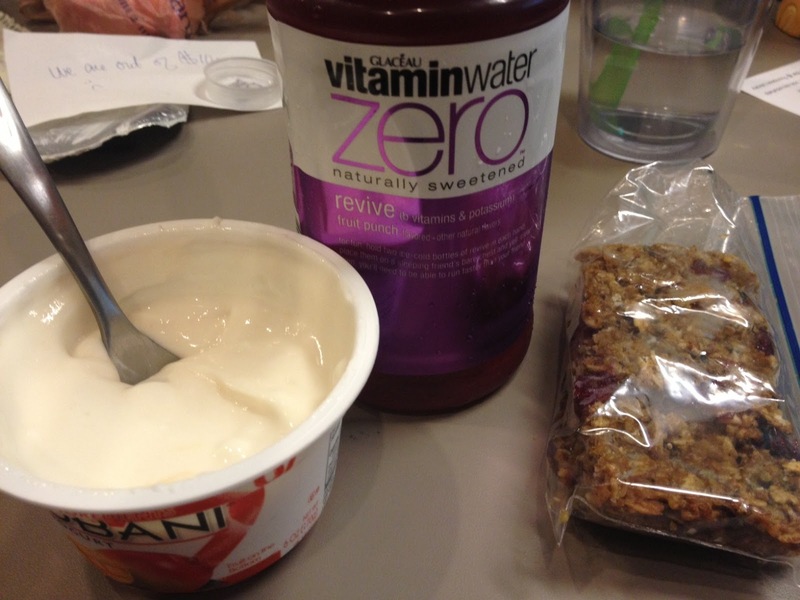 Three days of breakfast, three kinds of yogurt. Pineapple, mango + raspberry in the pancakes. This has been my lunch every work day this week and I couldn’t be happier. 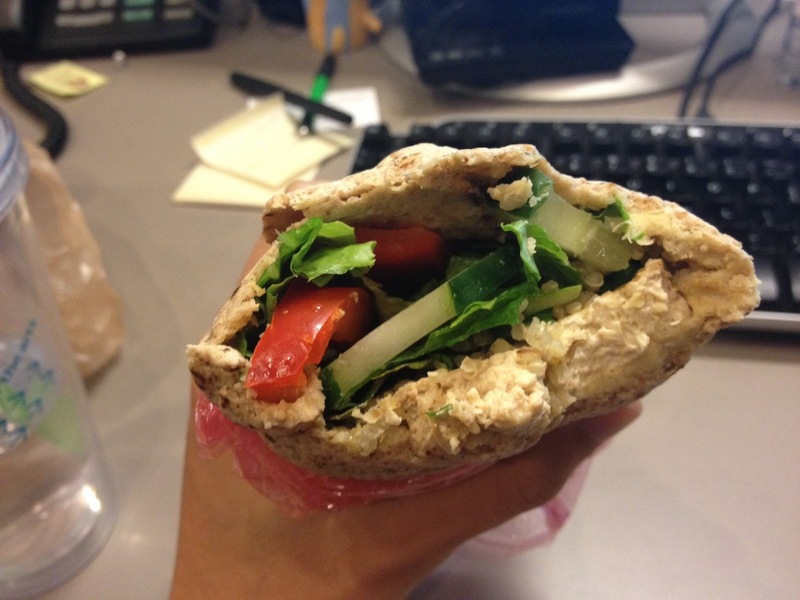 Flatout flax wrap + garlic-dill hummus, baked tofu, quinoa, red peppers + cucumbers. Delicious and so filling. 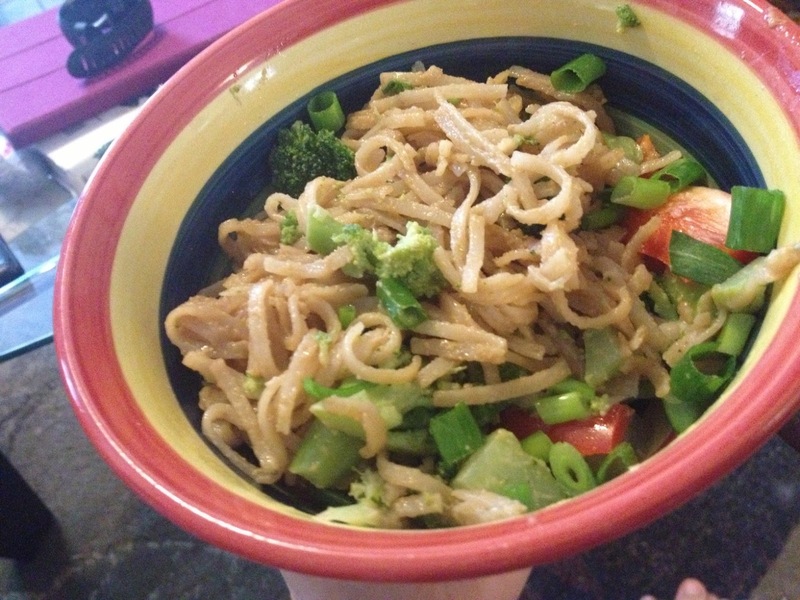 I also made a HUGE batch of peanut noodles and pumped up the nutritional value with lots of broccoli, red peppers + green onions. K. was happy to eat them for two dinners + a lunch. Training wise this week has been all over the place. I took a much needed rest day on Monday (after last week’s not-really-a-rest-day-because-I-did-yoga) and then I ran Tuesday, Wednesday and Thursday which is odd for me. Running just sounded good every day and I’ve been getting a bit of my speed back (finalllllllly) so it’s been a bit addicting. I was actually hoping to sneak in another run this morning (probably a bad idea) but I slept through my alarm. Apparently two nights of fireworks and staying up 3 hours later than usual will tire me out, who would have thought? I’ll take the extra rest day though because I’ll be on my feet at work all weekend long and I’ve got a 7 mile pace run tomorrow morning which I am kind of dreading. Fresh legs will be appreciated for that. 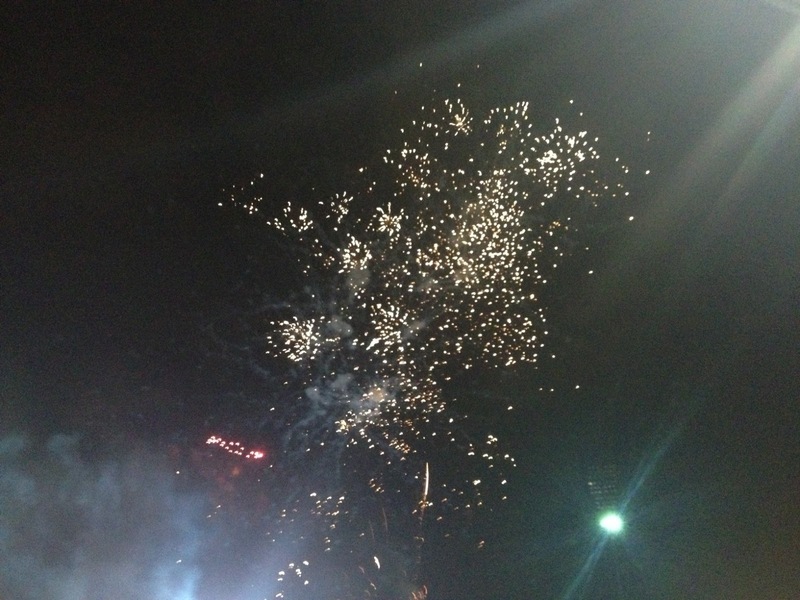 Finally, because it wouldn’t be right to not include it, here is the worst picture of fireworks ever taken. The fireworks we saw were really awesome and somehow this is what I came away with. Super fail. ← Fun for the Fourth!